WEDNESDAY, 3:32pm: Tanaka's posting will begin Thursday morning and be completed by January 24th at 4pm CT, a source tells Mark Feinsand of the New York Daily News (on Twitter). Teams can place their bids – up to $20MM, of course – starting tomorrow morning (link). TUESDAY, 9:50pm: Rakuten Golden Eagles president Yozo Tachibana announced that Tanaka will be posted, according to a tweet from Sankei Sports tranlsated by Dylan Hernandez of the Los Angeles Times (Twitter links). 9:23pm: The Golden Eagles will announce momentarily that Tanaka will be posted, according to Jim Allen of Kyodo News (on Twitter). 5:35pm: The Rakuten Golden Eagles have decided to post star pitcher Masahiro Tanaka, according to reports from Japanese outlets Sponichi (link) and Nikkan Sports (link). It's a turnaround from reports last week that indicated the Golden Eagles were leaning against allowing Tanaka to make the jump to MLB. One MLB source tells David Kaplan of CSNChicago.com (on Twitter) that he believes the Cubs will not be outbid for Tanaka's services. Convincing Tanaka to come to Chicago, however, could prove to be problematic, according to that source. "This is exactly type deal that Theo [Epstein and] Jed Hoyer will be all in on. However, will Tanaka say no to the [Yankees, Dodgers, and others]? Not sure he will," the source told Kaplan (link). Bruce Levine of 670thescore.com (Twitter link) adds that the Angels and Diamondbacks – who have been quite vocal about their fondness of Tanaka and overall need for a frontline starter – should also be in the mix for his services. Tanaka being posted also means good news for other free agent pitchers who have been in a holding pattern as clubs have waited for the top domino to drop. Rakuten was planning a record NPB offer for Tanaka – roughly $7.7MM USD – but that's significantly less than what he's expected to get from an MLB club. One GM recently told Jon Heyman of CBSSports.com that Tanaka was certain to receive a deal worth more than $100MM if posted. Per the Sponichi report, team President Yozo Tachibana acknowledged that the process is moving into its final stage. When asked if the team was set on a decision, Tachibana said, "Yes, it looks that way … We're completing the final procedures." It seems likely that the Golden Eagles have been dragging their feet in large part because of the reduced posting fee that they would receive under the new system. While the Japanese clubs holding the rights to predecessors such as Daisuke Matsuzaka and Yu Darvish saw major financial windfalls, the new system caps Rakuten's maximum posting fee at $20MM. Special thanks to Aaron Steen for his Japanese translation. Merry Christmas. Let the bidding begin. Considering only 6 teams (dodgers, Yankees, rangers, mariners, angels and maybe a dark horse candidate like the orioles) have their sights set on him and realistically have a shot it’s more like a carnival not a full blown circus. Mariners have nothing to offer but Cano and a long stretch of ineptitude. The Rangers have pretty much spent their way out of the bidding with the Choo acquisition. The Angels are the epitome of free spending with no direction – they are a train wreck. The Dodgers can contend with the NYY, but they are stacked and they are not as desperate as the Yanks to pull out all the stops to secure another front-end SP. Any alleged “dark horse” bidders will remain in the dark without a leg to stand on (a 3-legged mule like the Cubs or Orioles is a joke not worth discussing). This is a two team race and the NYY ABSOLUTELY will not be outdone to secure the anchor to their rotation for the next 5-7 years. I have a feeling the biggest reason MLB attempted to negotiate a $20M posting fee, is that it would get ALL the small/medium markets involved, all while generating a higher salary for the player…which in turn impacts these large market teams that always push the Luxury Tax threshold. The only problem with Yanks, LAD, and Angels is that these 3 are facing Luxury Tax issues. Cubs are saying they won’t be outbid, but will Tanaka actually want to go to the Cubs? I really doubt it. With Seattle’s 2014 payroll sitting at $80M, they have an amazing about to throw at him. Close proximity to Japan. Some of the top legendary Japanese players going thru Seattle: Kaz, Johjima, Ichiro (in his HOF years w/Seattle), and now Tanaka’s ex-teammate putting up #3 CyYoung numbers. Dr, the luxury tax is not an issue for the NYY or the LAD; they aren’t cash-strapped. They both have lived in the $200M neighborhood for several years with no stress aside from the anguish of knowing they are putting money in the pockets of the smaller market clubs. Your feelings about Seattle are pointless at this time because they are NOT a contender. Ichiro is CURRENTLY playing with the Yanks; Kuroda is CURRENTLY a Yankee; the legendary Godzilla Matsui is an advisor to the team. I think that has more drawing power than alluding to Asian players “passing through” Seattle. As far as the close proximity to Japan, he isn’t going home on off days. If you use that logic, Cano would still be in NYY. Cano went with the highest bidder and so will Tanaka. In this case, no one will outbid the NYY. He would truly represent the final piece to their offseason plan and no team has the ability to outbid the NYY when they are determined to secure a player. I hope NY goes over their $189 million limit and continues to share the wealth with everyone else. That’s a given at this point! So do I. Then for their whole roster to be hurt and then all those players will laugh all the way to the bank. I loved this past year when however many millions of dollars were flushed down the drain because peopel go on the 60 day DL for a missing eyelash these days. Please refer to the attached example: Cliff Lee. Exactly how did that work out for Lee in Seattle, huh? dodgers have lived in the 200mill neighborhood for several years? you mean 1? That amounts to 21 years of championship catch-up by simple math. Yankee fans….always living in the past. Cool. I wish I could jump on the bandwagon too…. Seattle has a pretty high Japanese population so to say it’s “pointless” is arrogance on your part…. When you only have one place in the world a ball player can go to play at a higher level and for more money, you’re sort of at their mercy. MLB is a monopoly and I’m sure the $20 million cap was there way of leveraging that position, and making the owners happy in the process. Although, you have a great point about more teams being able to at least compete for these guys. You nailed it on the head. But the other teams only need to match or better the cash the NYY put on the table. SEA did it and now has Cano (they will most certainly regret that in 4-5 years, but they rolled the dice and won). Simply follow their lead. Fact of the matter is, New York isn’t as hot a destination as it used to be. Players who want money join the Yanks. People who want to play baseball go elsewhere. Good point about the Luxury tax issues, however the Angels would hardly be punished by much, they would only have to pay a little over 1m. It will be worth it. You’d think the Nippon’s players union had a say in this. I can’t imagine the Japanese league players enjoy a huge chunk of money that the player thinks is a part of his value and something he earned kept by ownership. The Cubs have already identified as a serious bidder. I don’t think they’ll get him, just saying to insult teams, you never know when some FO falls in love with a player until the huge contract is signed. Bill, it wasn’t meant as an insult to the Cubs. I actually wish they would have a better turn of luck because they are a solid organization with great player history (Banks, Sutcliffe, Sutter, Sandberg, et el). But they are a snake-bit team that even the genius of Epstein is having trouble turning around. They may indeed make a serious bid, but they don’t stack up to the history, allure and current contending status of LAD or NYY. Also, look at the intangibles of Tanaka’s charismatic personality and his wife’s modeling aspirations. Where does that fit best: in the media-centric, mega-wattage cities of NY-LA (very similar to Japan) or Chi-town? Dollar for Dollar, the NYY will not be outbid by anyone on this. So you have said, many many many times. Are you making an authoritative statement that the “NYY will not be outbid” or trying to convince yourself? Obviously, the 27 Championships and 40 pennants hasn’t resonated with the NYY haters, so “yeah” redundancy is mandated. Guess what, I don’t have to “convince myself”, I’m a proud NY’er and live the thrill of ALWAYS having a team that goes ALL OUT to be the champion EVERY SINGLE YEAR. FYI, “NYY will not be outbid” (just for the road). LoL. How many championships? I keep forgetting since most of them were so long ago. I’m sure the Yankees won’t be outbid either. They have no choice but go all out to get this guy. He’ll be the difference between finishing 3rd in the AL East versus 4th or 5th for the Yankees. Japan is not a city and you are the biggest NY homer on the boards. Its not that the Yankees cant afford Tanaka its that if they pay him 120mm it will cost somewhere in the neighborhood of 180/6y after their tax bill. This would essentially make him the highest paid pitcher in mlb history. Very respectful argument, sorry I read it the wrong way, Merry Christmas! Don’t rule out the Rangers…if they can sign him, they can then trade one of their current starters (and other players) to free up $$$$$. The owners have deep pockets, so don’t count them out. Exactly which of the Rangers pitchers are you going to trade to free up money?? They will NOT trade Holland, Darvish, or Perez. Harrison doesn’t make enough money to really warrant a trade to free up some money. Plus, his injury last year will make other teams weary of acquisition. Believe it or not Holland has been mentioned as well as possibly Ogando. Though not a pitcher, throw Moreland into that mix. I cannot imagine Holland, but Ogando for sure. Derek Holland took a HUGE step forward this year, and is signed to a very team friendly deal. The Rangers explore every avenue, but will only trade a player under the right circumstances. Holland will only be involved as the centerpiece for a true ace under control for a considerable length of time. The Texas heat is enough to drive people mad though. It’s hot for everyone, not just the Rangers! The Mariners have a rich history of Japanese players, and a Japanese ownership, and a large Japanese-American fanbase. How about the Dbacks and Cubs? The Blue Jays are definitely in the top 5 favorites to get him, they have the means and the need for him. This has seemed what A.A. has been waiting for. I would be surprised if he goes to the Jays, O’s, Mariners, or Cubs. I think he will go to a contender. Every team could use a pitcher like Tanaka, it just depends on how much you want to over pay for him and where he wants to go. This will be the first time a Japanese player has had his own choice. Obviously you haven’t been reading many of these articles… You left out the Cubs. Most people missed the sights set on him and have a realistic shot. Cubs, diamondbacks, phillies may have interest but it’ll come down to Dodgers, Yankees, Angels, mariners. If the dodgers or mariners can get tanaka that’ll eliminate their involvement in David price and save the prospects; thus they’ll toss 107 mill his way instead of 107 mil and prospects for price. That being said Yankees need an ace going forward and won’t hesitate to pull the trigger. Serious interest and really wanting him doesn’t qualify for a circus when really 4 teams will outdo the rest of the league. How do you know that teams like Washington, Cubs, Arizona, White Sox, Mets, Phillies and of course Boston, aren’t going to be in? It doesn’t cost them a dime to post 20 million if they’re not signing Tanaka. Logically, all 30 teams will post the 20 million fee, just to be in the conversation. It’s one thing to post the 20 million and another to really try and sign him. This is going to be a big over pay and a big gamble for the team that gets him. The Yanks and the Dodgers appear to be the only teams that could absorb this kind of mistake. How do you know it’s going to be a huge overpay? Oh please. Even if teams don’t need Tanaka, they’ll still pursue/bid him. He wouldn’t hurt, and if you lose, you can drive up the cost for the team that does win him. Nats have four front line starters already, it wouldn’t make much sense to throw money at this guy. 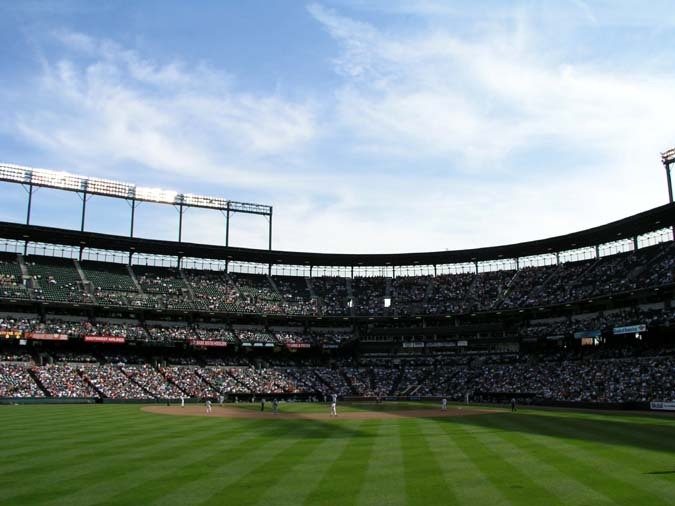 Now the O’s would be a fantastic destination but we all know that’s not happening. I predict the Yankees will sign him, there too desperate in need of pitching to not sign him. If many teams pay $20 mill, he can pick which team to negotiate with. That all depends on what team he prefers. no, he can negotiate with all of the teams that offer the maximum posting fee, basically like free agency with a 20 million dollar extra price tag to the winner. Someone has to make up for the train wreck of Sabathia who gave up more runs than any pitcher in the AL last year. Still got to pay that contract though. Riiiiiggghhhttttt! Good luck with that. I don’t see why that’s not plausible. I wouldn’t say it’s impossible, but I don’t think it’s likely. Even if Tanaka is a 4 WAR SP, they probably only added 8-9 wins. That still puts them 2-3 behind the Dodgers, regardless of what the Dodgers do. I don’t think it’s likely either but it is baseball, where anything can happen. I expect the D-backs rotation to continue to make strides and I’m not so sure the Dodgers lineup will continue to be as good as last season. While I expect Hanley and Puig to still put up great numbers, I’d be shocked if either replicates their slashes from the previous year. 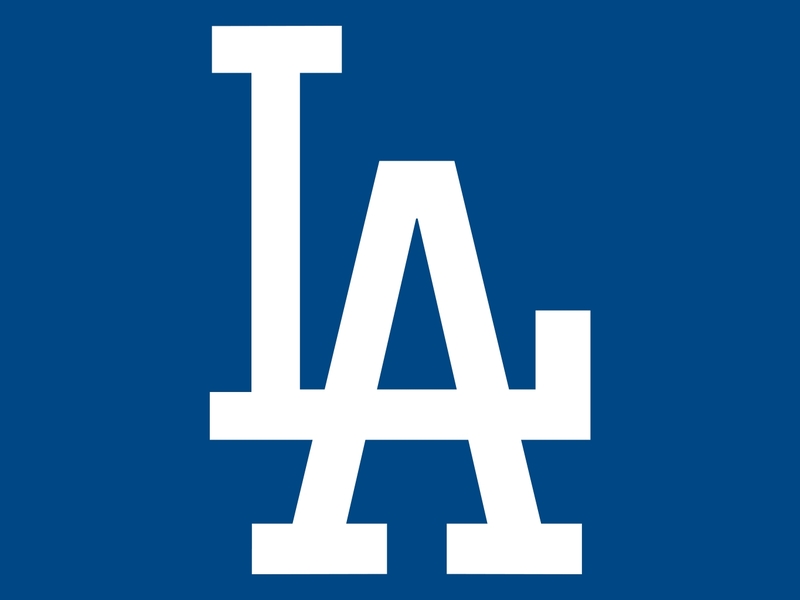 Because their pitching is leagues behind the dodgers…. Dodgers or Mariners or Diamondbacks or Red Sox. Mariners aren’t actually topped out. Jack Z said they’re willing to spend for “the right guy.” Seems to me Tanaka would be the right guy since they want to add one more starter. Just got a fat new TV contract. They need to spend that cash. It’s gonna take that much just to talk to Tanaka’s agent. Luce “topped out”? Seattle with a $80M 2014 payroll right now, and Howard Lincoln telling media he will surpass the $95M budget from last year. Plus the add’l $25M this year MLB TV that every team gets, a paid off stadium at Safeco Field as of this past year, and buying out Direct TV for ROOT Sports Network. Since it appears you are an Angels fan Matt, you should realize that Angels will be over the Luxury Tax “if” they end up signing Tanaka. So this $150M+ deal you are ‘thinking’ Angels get him for I think you are way off. I don’t see him going to the Angels personally, nor LAD, nor NYY for the same reason. Well this should be fun. Sign him KT!!!!! It’s going to be a merry Christmas for one team out there. I would love to see him in Seattle with Iwakuma. He wants to play on the west coast, so we will see. Just a guesstimate, but he’s looking at 6-7/130MM. Not sure the M’s management would allow that, but the draw Ichiro brought was tremendous, so I would actually be surprised if the M’s weren’t up towards the top (didn’t say top) of the final bid. M’s have 20 – 30 M left to spend. I think probably only the Dodgers and stankees may have more $ available. the yankees have no money left if they want to stay under the luxury tax threshold. I hate the Yankees, but if they decide to go over they might as well go all out and get their payroll back to the $220m range. I read reports that ‘if’ they are over the luxury tax this year it will devastate their franchise for years to come, where as being over next year won’t have that impact. It would have been better for the Yankees if Ratuken waited to post him until next offseason, then I would say noone would outbid the Yanks. It’s gonna be VERY interesting…GO M’S!!! Dr, the NYY will NOT be devastated by staying in luxury tax purgatory. Are you really serious or is your Yankee hatred getting the best of you??? The Yanks enjoy operating in one of the most robust marketing arenas in the entire world. They have a lucrative TV contract. Their fan base is dedicated and will routinely fill out every home game and they effectively leverage the power of their brand monetarily all over the globe. Exactly how do you suspect that they are suddenly going to be belly up if they bust the “189” goal? Adding Tanaka will re-energize the fan base. It will also open up additional marketing opportunities. I’m sure they will secure some revenue deal with a major Japanese media provider to simulcast Tanaka’s scheduled days on the mound. Other revenue streams will present themselves for the NYY to reap the benefits from AND, assuming the team is successful, they will have the foundation to build the post-Jeter era with. You can have Cano. We’ll gladly take McCann, Ellsbury, Kuroda (again), Beltran and Tanaka as our big haul during the Hot Stove season. At least Jack Z and Jay Z can share a Vente Mochalatte at Starbucks. It’s amazing how many more M’s fans there are now, compared to a month ago. That may be true, but in my defense, I have rooted for this team and their losing seasons for a very long time. Which I have no problem with, and I hope for your and similar fans’ sake they can field a competitive team for a while. It’s just hard seeing band-wagoners all over the place (which i regrettably see being a Yankees fan all the time). Teams need the bandwagoners though. Is a great source of revenue for them. Thats why the Yankees attendance and viewership has been dropping. Yankees are all about name recognition to bring in the fans and sell those jerseys. They will have to build up that minor league system and get some pitching if they have hope of going anywhere. The Yankee hatred doesn’t cease. Even with SLIGHTLY diminished attendance and fallen viewership on YES, their attendance records still outpace almost 90% of the league and the viewership radius is GLOBAL (YES is broadcast in some capacity over the span of the planet with Yankee fans from Mali to Melbourne). Sure, the team is about BRAND recognition. What successful franchise isn’t???? Who – Starbucks? Macy’s? Apple? Dallas Cowboys? Los Angeles Lakers? That is the ultimate goal of business; to have your BRAND valued across the globe. As far as “going somewhere” I guess 27 Championships and 40 pennants is pittance to you, huh? This is the FIRST year we have missed the playoffs in eons and ONLY by what 7 games with a beat up and broken lineup. Not too shabby by ANY standards. Now we’ve restocked and are poised to return to the postseason with McCann, Ellsbury, Beltran, Kuroda (again) and soon to be, Tanaka. Big stars do not win Championships and never have good players do. Look at the Championships teams of Luis Soho, Scott Brosius and Girardi. No All Stars there but a team of clutch players. What those teams had were great pitching and good defense. When you lose a 43 and 41 year old player and you restock and the team gets older something is wrong. Better get some pitching because a team with not a single position player under the age of 30 and most players best seasons come at 30 or less shows the direction the team is going. Losing their only All Star did not help either. No argument at all here. Its just facts and facts are that Yankee attendance has fallen ever year since 2009. BTW..Yankee way overpaid for McCann who has been going down hill for 4 years. Catchers after the age of 33 fall off in production. Fact is Thurman Munson was done at 31 and signing him to a 5 year with option for a sixth and paying twice what Saltalamacchia means they paid double what he is worth. Salty is better catcher hitting 42 doubles last season and hitting 25 hrs the year before. It was a beat up line up because they were old brittle player. How about 4 outfielders over the age of 35 this year; Ichiro, Vernon Wells, Soriano and Beltran. Well maybe if it was 2005. With Yankee ticket prices they have to win because New Yorkers do not support losing teams especially when $50 box seats are close to $400 a piece. They had low attendance even when best seats were $6 a piece. Guess we will see but its all about pitching. For the umpteenth time, “189” is a goal, NOT a mandate. The overarching mission of the NYY is to ALWAYS field a CHAMPIONSHIP level squad and trepidation of the luxury tax will not deter that now or ever. The Steinbrenners are still the owners and they understand the importance of accentuating the brand. If Tanaka is a $15-20M grab, the NYY will not have any problem accommodating his #. Get em Cubs. 6 years/150 million. He has no other reason to sign in Chicago other than the money. Definitely looks like the Cubs will get him and I’m happy about that. Cubbies have a better chance of signing Mr. Magoo than of getting Tanaka. Theo is a genius, but your team is NOT a contender and Tanaka is NOT coming fresh off a Championship to join a team mired in a millenial swoon that also holds the dubious record of both the longest league pennant drought and the longest World Series drought in history. You’ve got to plug the holes in the life raft before you take on passengers. That’s like Felix, Kershaw money for a SP that’s never played in MLB. I just don’t see him hitting that high of $$$ personally. Kershaw money will be like nothing anyone has ever seen before. He is going to by far get the largest contract for a pitcher, and probably anyone, in baseball history. The Cubs don’t even have a decent team to bring him to, and a long ways from contending, and a LONG ways from Japan to visit! On the “cusp of contending”? Hmmm, about the same as saying “on the cusp of winning MegaMillions”. Cubbies have been saying that since 1908. I know you guys love your team, but GEEZ! You are NOT a contender! A $170MM commitment for a guy that hasn’t thrown in MLB is rough. Then again, Darvish cost the Rangers about $108MM. Hoping the Rangers can convince him. It’s possible….if they can sign him, then they have the flexibility to trade a SP, Ogando, and Moreland for a DH-type (if it really takes that much to get one). That would free up some $$$$ to allow this to happen. Mariners better push hard for him… Tanaka definitely fits “the right guy” mold Jack Z was talking about spending on. Do it, Jack. At least be active. Can’t wait to see the AAV of his future deal. Well, it is my understanding that the Yankees want to stay below the 189 million dollar threshold. I suppose that little idea will be thrown out the window? The Dodgers have assembled one of the greatest bullpens ever, if everyone behaves and gets along and stays healthy. So why would the Dodgers need him? So maybe there’s hope for the Cubs. The Mariners would be interesting. I don’t know where Tanaka is going to go, but it was nice of the Powers that Be at Rakuten to let Tanaka be posted. The “new” plan is to either be under 189 or go way over. No point in going over if they end up at like 192. You don’t even know how MLB payroll work. Where did you get $110M from? The luxury tax is assessed at a varying percentage on teams over the cap which would be 189 million this year. Therefore if the Yankees do go over this year, they would pay either 40 to 50% of the amount they went over the cap which is hardly 110M. Around 20M to 35M by rough estimates but the revenue they gain from fielding a championship team is 80M. You pay on what you are over, not total. Is just like normal tax rates. When you jump from a 0% to a 5% tax bracket you don’t pay that on whole income, just amount in the next bracket. If they get under the % resets to a lower level. That is why even though the Dodgers and the Yankees had roughly equal payroll, the Yankees paid way more. So happy to hear this even though it’s unlikely he signs with my team. It’s going to be very exciting watching him take the mound for the first time next season! Finally, this has been the biggest build up for no apparent reason. Now all that’s left is for the A-Rod verdict to come out and we can all stop with the unnecessary drama. But, YAY! BIDDING WARS! I’m gonna say he gets 7 years at about $140MM because I was to see it get crazy. That would be pretty crazy. I don’t see it getting that high, but how desperate the Cubs are they just might make that type of offer. Doesn’t mean Tanaka will go to the highest bidder either. I’ll say he gets 8yrs at 145MM with a AAV of 17 million and a 9 million signing bonus. Specific. There’s almost no reason not to pay the 20 mil and get in for any team. Remember, the player gets to choose his location this time, so he may not take the largest contract. If my Dbacks don’t get him, I do indeed hope it’s because a GM does something that crazy. Tanaka is not getting $30 million a year before throwing a pitch in the big leagues. Lol, no. He may get around 7 yr/$120 if I had to guess. Could see 7 years, but doubt at that value. Darvish cost $108M I doubt that Tanaka completely blows that out of the water, he is pretty similar level. It will absolutely cost more for a team to reel in Darvish than it did for the Rangers to get Darvish. The bidding war aspect of this all but assures that; however, it’s completely absurd to think Tanaka will get 7 years $180 million. 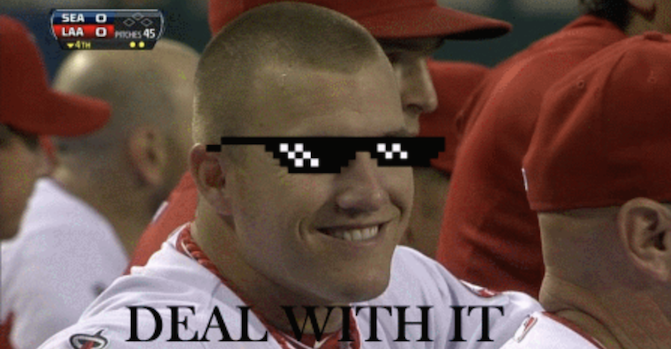 If the Yankees want to make him the highest paid pitcher in baseball history. then so be it, but I can think of a lot better ways to spend $25.7 million per year. Right. Every team had the chance at Darvish too, they had to win the posting, but I’m sure many of them had a general idea of what he was worth and how much to bid. They probably knew the cost would be around $100M most likely, salaries have gone up since then, and fa might up the amount a bit more, but I really don’t see Tanaka getting 70% more total cost compared to Darvish. Why the thumbs down? I’m just dreaming. Some people will downvote anyone who says that he won’t sign with their team. Make him the ace of a rotation in a league he has never pitched in right off the bat? Yikes. Really? Thanks for clarifying. I thought he was for a second. No problem, It was evident that you clearly had thought the two were equals for whatever reason. DBACKS make the most since. The Cubs are not contending and the Yankees are tapped out as the Angels. The dodgers don’t need him… This is the only piece of the puzzle missing from the Dbacks then they could make a couple small moves like flipping Cahil for more farmers. .. He makes the most sense to a small budget team? Yankees are far from tapped out, they just want to be smarter about it. 3.90 era in first season is solid, but not ace like. Darvish started game 3 of the 2012 season. He was not the #1. Don’t you mean Nagasaki Iwakuma? Because they really have the money to add 3 $20M players in one winter, after having a payroll of $84M last year? If memory serves, Lee did not like Seattle. Pretty good rotation IMO. I’d hope for another veteran to take the #5 spot and NOT depend on Pineda or even better one to take Nova’s #4 position and push Nova to #5. He was good but he’s been inconsistent. No way I would rely on Pineda. He wasn’t even ranked in the top 100 prospects in Seattle, and came out of nowhere, put up incredible #s in the 1st half since he could throw 99mph. Pineda only has 2 pitches. His ERA will continue to be in the 4-5 range. Bet me on that one! “He wasn’t even ranked in the top 100 prospects in Seattle” No? he wasn’t ranked 16th in 2010? And he wasn’t a part of the M’s top 10 list every year he was eligible? On the contrary, I think the #5 spot SHOULD be used for Pineda/House options. They need to give younger guys a chance, or they’ll never know what they can do. Dont worry about the haters. Tanaka is a Yankee. As recently as fall 2013, Pineda was pitching in the minor leagues and had a good era with a fastball at 92mph. Any sane person would know that he is progressing towards the major leagues and will be in time to showcase his stuff for #5 starter in spring training. Trade is far from decided, but still think Yankees could be in good shape. Montero and Noesi have been terrible. Campos and Pineda haven’t done anything in the majors, but they look to have potential. He is 26. Nuno will never blow you away, but he could still have a solid career. Pineda has by far the most upside though. We know what Phelps is pretty much, and Nuno seems about the same. Gotta give Pineda a chance to prove or disprove himself. I’d like to see some more of Warren. with that starting 5 the Yankees would still be lucky to walk away with an 80 win season. Funny how Pineda and his 2 Pitches are automatically entered into your rotation. could all the Dodger signings today be to show Tanaka how commited they are to winning? I doubt he cares about that honestly. Location and contract structure will matter most to him. He’s not a veteran pitcher desperate to win a WS or something. Yeah, finalizing the Uribe deal will really excite Tanaka. Cubs will sign him no doubt in my mind. Tanaka said that he wants to play for the Yankees or Dodgers. My guess is that the Yankees will out bid everyone else. And where is that “quote” from? Out bid anyone not named the Mariners. He just said it by hiring Casey Close as his agent. Tanaka never said he wanted to play for the Yankess= he said he wanted to play on the West Coast- he said he wanted to play the Yankees…. It’s fine. We don’t need him anyway for our 3rd consecutive division title. Corbin is better than CC anyways at this point of their careers. He would be in the same situation heading over to NY. I guess your Christmas present to everyone is stating irrational things. Thank you and Merry Christmas. So nice of you to give him a present. There’s nothing wrong with calling the best pitching prospect in the game your number one starter. I respect NY, and CC… he’s had a great career but I don’t think he’ll be the same again. Hope he proves me wrong. His problem was arm slot and losing the rest of his balance because of his weight loss. A large part of his problem was that his arm slot dropped too much, and his breaking pitches turned into meat balls. He doesn’t have to be the same to be useful. Just read his twitter feed. Okay fine it’s made up, just like anything kuroda has said or wanted to do in the past few years. I hope the Angels sign him!! Don’t get ahead of yourself, Jason. Let him get ahead of himself! It’s Christmas!!! We can always hope Christmas will come next year. NYY vs LAD bidding war… i dont see chicago/arizona being in the run besides saying they are..
Cubs will get him. They’ll get insanely dumb to make this deal. Just watch. It’ll top 180m. $120 sounds about right, but you never know when a bidding war ensues. Wait, cross that, you know at least one thing – this bidding war won’t come close to $180 million. Just got off the phone with Tanaka and he said he’s coming to Arizona. It’s official. I don’t speak Japanese but I’m pretty sure that’s what he was trying to say. If the Blue Jays’ AAA Manager, Tanaka’s old manager, hadn’t just quit, I might have given the Jays a better Chance, that said, I am with the person who said not the Yankees or Dodgers, but will also throw in Red Sox! Come home to the Dodgers, baby! CC bwaaaaaaaaaaaaaaaa — be lucky to get 10 wins out of him, Kuroda mmm maybe 12 wins, Nova hahahahaha Pineda won’t pitch in MLB again. I would argue but generally when people use wins as important stats it’s not really worth it. Agreed, wins are a team stat. But just a matter of looking at the stankees lineup, they are not going to end up higher than 3 in the AL East. Nobody will argue with you because of your lack of maturity. So the M’s have a better offense than the yankees? interesting…. This post shows that this site’s commenting policy is a waste of time. Such insecurity. Where in his post was he saying Angels would have a better rotation than the Dodgers? I feel like you’re just lashing out for no reason. That’s the wrong kind of feel to have. Really wish the Red Sox had room in their rotation. Santa Cherington, please make room? yes! if the Yankees are willing to crash through the luxury tax threshold, then the Phillies should be too! Argh…too many long-term contracts on a declining team, though, so I doubt Ruben & Montgomery pull the trigger…..
That is good, I hope i wake up tomorrow seeing Tanaka to the Yankees is a done deal..hell maybe even tonight. I predict he will sign with a baseball team. Well, the Cowboys need a QB now that Romo is out for the season…. So you’re saying not the cubs? That is a bold prediction, my friend. Curious to see how interested the Dodgers are. We’ve heard varying reports, I’m glad he’s been posted so instead of seeing reports I can just see what they do. Go time for everyone now. Just got off the phone with his agent. Confirmed that Tanaka is retiring. Let’s be honest, he’s going to get Cole Hamels/Matt Cain/Zach Grienke money. How many teams out there are willing to give out a 6yr/120 or 7yr/140 contract + 20 Million posting fee. probably quite a few. Yankees, Dodgers, Cubs, maybe Texas, Tigers are known for their questionable decisions.. He should go to Nationals. Well the Twins have signed every other starting pitcher this year. I wonder how many jaws would drop if he ended up there. I’m not even a Twins fan and I would love to see that happen just so everyone can be wrong together. So something like the Sabathia deal? There are only a few teams with the money available to sign him. Dodgers, Stankees, M’s and Angels. Rangers and Diamondbacks are in there too. Rangers already got Fielder and Choo on their payroll, I’d put their chances to get Tanaka at slim to none. have this guy throw even one pitch against MLB talent? That will get things pretty exciting. I really really like that idea. Honestly as a GM I would want that. This guy may not even pan out. I would want to see what he has. Very shocked by this. As a fan of baseball I’m obviously thrilled to see what Tanaka can do in the states, but wouldn’t have blamed Rakuten for a second for not posting him. Merry Christmas Masahiro!!! $5 says mediocre just like all the others. Or Matsui. Or Ichiro. Or Koji Uehera. Na, more like Dice K. Or Kenshin Kawakami. More like Tsuyoshi Shinjo, the golden boy of Japan who came and ruined his immaculate career in the states. Bad luck signing with the Mets. Edit: He is still a baller in Japan, didn’t hurt his credibility so much. Shinjo the golden boy? You don’t know anything about Japanese baseball. During last 20 years, only a few could dominate like Tanaka. Only those 4 were treated as “the very best” player during their time. The article says Tanaka’s contract will go over 100 mil. That is a lot of money for an unproven player and pitchers break. Exactly! I think he tops out at $120m. Come on Rick Hahn, one more international splash this off season. I left Danks off because I think he & Beckham both will get traded by spring training. That would clear more money to sign him. Hopefully Danks/Beckham go to Toronto in a deal for Sanchez. Picture the rotation with him in it (minus Rienzo or Johnson of course, who could be moved for an upgrade somewhere else). They all would be around 25 yrs old each. Nice young rotation to build around. It would be amazing, but highly unlikely. Well apparently there are reports that he will not be posted by some Japanese news posts. Check out Dylan Hernandez and his tweets. Once again…conflicting reports. I feel like we should wait until they officially announce something, because this is beyond ridiculous. Now Yankees, make my avatar come true! If it does happen, mind if i use your avatar? Please Jerry/Arte break the bank on this guy. Think of the Tanaka v. Darvish/Tanaka v. Iwakuma matchup revenue alone. The AL West would be a gold mine for the Japanese market. Tell that to STL. They are doing s good job beating the big 5 consistently. I’m sure Tanaka only wants to speak to the Yankees friend Benjamin. That might be the only reason Ichiro is still on the team. He performed below ML level last year. Knowing Kevin Towers, he will give the Eagles $20M and then throw in Archie Bradley for no reason.